News that Dot Branning actress June Brown is to take a six month break from EastEnders is good - not because we won't miss her flapping about or smoking fags and referring to passages from the Bible as a thought-provoking solution to other characters' woes, but because a six-month break from work is something that we'd all like. And if you're a long running character in EastEnders, it seems to be getting easier to take one, too, which may be an acknowledgement of how hard a job on a soap can be. We don't know the details of June Brown's break - whether she'll be paid, if she'll have to live off her savings, or if she'll have to go and sign on down Walford job centre, but, according to a report in the Daily Mirror, the break is mainly so she can write her autobiography. We want to believe that, but there's a sneaking suspicion that it sounds like the kind of reason we'd all give, ie really not very convincing. And in reality you'd end up spending most of the time watching Homes Under the Hammer with your feet up. But you can't blame June Brown - in fact you'd quite understand if she sloped off for an extended trip to a Spanish resort and never returned. And, as a reference to her age is inevitable at this point, let's mention it: at the incredible age of 85, playing a character in a four-episode-a-week soap would challenge someone half that age. 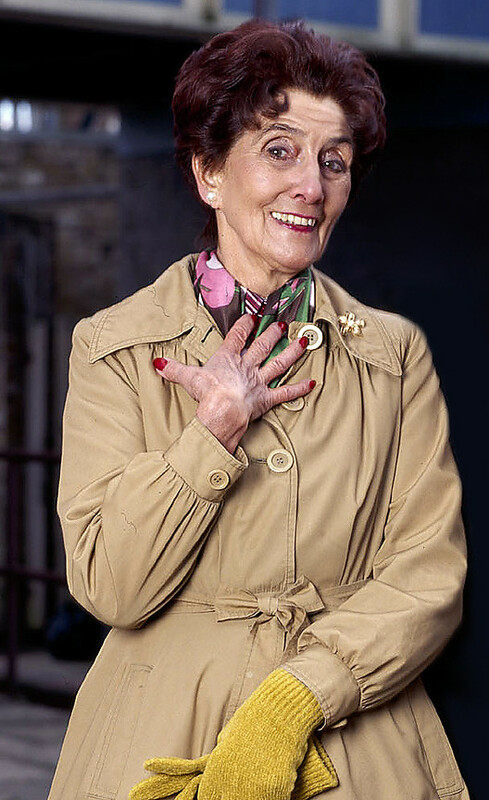 Given that Dot Branning - also known as Dot Cotton after her first married name - is one of only a handful of EastEnders characters to achieve national treasure status, along with, perhaps, Dirty Den (before his ill-advised return from the dead), Sonia Jackson or Roly the poodle (we all have our own favourites), she is definitely a character worth hanging onto. And Dot's not the only one off screen for a while: Jo Joyner, who plays Tanya, is to have a long break from work at the start of 2013, while Charlie Brooks, who plays Janine, says she is to go campervanning with her daughter around Europe on an extended holiday from the Square. Bianca actress Patsy Palmer, who on screen has just been 'sent down' having broken the conditions of her bail, is also taking six months off. 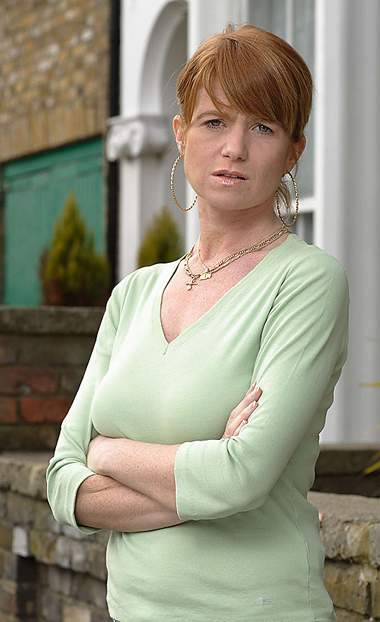 The actress wants to be with her kids at home, and her final episode before her departure, as Bianca tearfully leaves her children in the care of her mum, was a powerful (by which we mean tear-strewn) moment - Patsy Palmer does that brilliantly, even if Bianca's storylines are the most miserable of anyone on the Square. It's the same for Lindsey Coulsen, who plays Bianca's mum Carol, who is also taking time off from the show. But as Carol's currently now looking after Bianca's kids on screen, her departure might be more of worry in story terms: it's not clear whose care Bianca's kids will be left in once Carol goes too, although Ricky's due back (as actor Sid Owen returns from his own extended sabbatical) so that could be the answer: Ricky will get back and he'll be left looking after the kids and wondering why he ever bothered to return. See, if Pat was still around they could all go off and not have to worry; she wouldn't mind getting the kids' tea. In the meantime, while Dot's off visiting a friend, off-screen June Brown might be getting out the typewriter, but what will this autobiography be called? Tv-ooh proposes 'Ooh I say!' (including chat-show appearance-ready exclamation mark) after Dot's so-called catchphrase - obligatory whenever anyone like impressionist Alastair McGowan impersonated her. But whether this autobiography emerges, or she just ends up doing an extended interview in the Radio Times called 'I've been doing me gardening! ', tv-ooh says enjoy your break June Brown, you deserve it. EastEnders: "I want pizza and I want Hazell Dean!" Oh, Pam St Clement (Pat in EastEnders): What are your post-soap options? Can anyone please tell me why dot branning can't say her employers name anymore? She used to be able to say it but now she just says a load rubbish! Hope someone can answer this as its been bugging me! She has said clearly in the beginning but as time went on she sort of just shortened it to gibberish. I guess she feels she should not be bothered trying to say it correctly as everyone knew who she was referring to anyway. Dot has NEVER been able to say her employer's name. But then, neither has anyone else! June Brown has never been able to prenounce her employers name, June says the mis- prenouncation on purpose because for the simple reason it sounds funny and lightens a very dark, gloomy soap oprea. In reality someone like Dot Cotton would mis- prenounce it. One of the joys of June playing Mrs. Cotton is nothing is left to chance, it's all thought out with great care on June's part, even down to the contents of Mrs.Cotton's handbag.